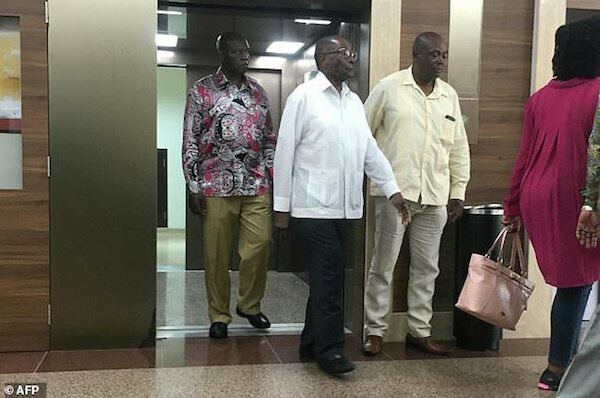 Zimbabwe’s former president Robert Mugabe, who was ousted from power last month, visited a Singapore hospital Friday during a trip to the city-state for a medical check-up. It was the first time he has been seen in public since he was forced to resign after a military takeover brought a sudden end to his authoritarian 37-year reign. 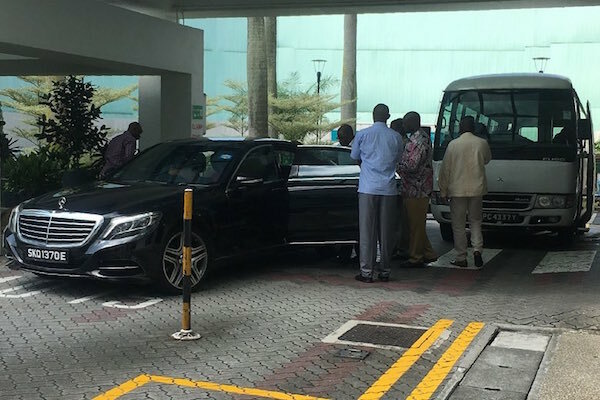 The 93-year-old was seen leaving a lift in Gleneagles Hospital in downtown Singapore around midday (0400 GMT), wearing a white shirt and black trousers, and accompanied by eight people, AFP journalists said. Two hospital employees, speaking anonymously as they were not authorised to talk to the media, confirmed to AFP that Mugabe had visited. A spokeswoman for Gleneagles declined to comment, citing patient confidentiality. His ex-spokesman, George Charamba, said Thursday that Mugabe was visiting Singapore for a medical check-up as “part of his package as a retired president to travel overseas”, adding the new government was keen to show him respect. The military stepped in on November 14 and ushered President Emmerson Mnangagwa into office after a power struggle with supporters of Mugabe’s wife Grace, 52, who had emerged as his chosen successor. Mugabe, who ruled Zimbabwe from independence in 1980, is accused of brutal repression and bringing the country to economic ruin. In recent years he has made several trips to Singapore, a popular medical tourism destination, for undisclosed medical reasons. Mnangagwa was formerly one of Mugabe’s closest allies, and the ruling ZANU-PF party remains in control. Mugabe will miss the party’s annual conference in Harare on Friday when Mnangagwa is expected to be confirmed as its candidate for elections next year.